Rabbi Ari Isenberg and Gila Wilensky. All are welcome! Click here to view Temple Israel Center's schedule of services for Passover. Click here to view our Passover Guide. Passover begins this year on Friday evening, April 19. If, after thoroughly cleaning for Passover, you still have h ametz products to store during the holiday, you can perform the ritual of selling your h ametz through the synagogue. Please click here to fill out form. Donations to the Passover Fund can be made online here or by check payable to Rabbi Futterman's Discretionary Fund. Please click here to fill out the form. TIConnect is pleased to provide members the opportunity to share the joy of a Passover Seder on Friday, April 19 or Saturday, April 20 with other members of the TIC community. Please email TIC and advise if you would like to sign up as a guest (please include how many are in your family) or if you have extra room at your Passover table (please include how many guests you can accommodate). Please welcome Fardin Ghafoor to Temple Israel Center. From Afghanistan, to Egypt, to Westchester County, Ghafoor will share his remarkable journey as a refugee and his resettlement with his family here in Westchester. As part of the Interfaith Council for New Americans Westchester (ICNAW), Temple Israel Center is proud to assist in refugee resettlement. Temple Israel Center is highlighted in the April edition of Westchester Jewish Life Newspaper. The article features our March 16 Gala and Fundraiser and quotes President Marc Berman. You can view the story on page two of the publication or see it here . Come for a BBQ dinner and a basketball clinic for kids ages 5 to 14 - including a 3-point shooting and foul shooting contest for all - run by Ramah Sports Academy. Prizes for the winners of the shooting contests! 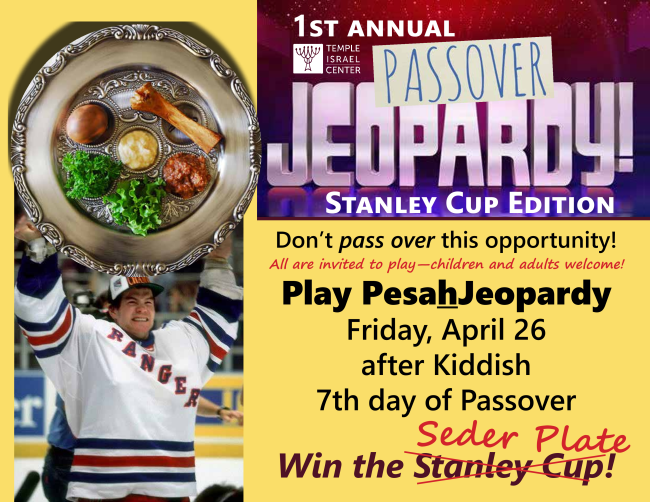 On the seventh day of Passover, come play Passover Jeopardy with the TIC community! All ages invited and no RSVP needed. Click flyer for details. 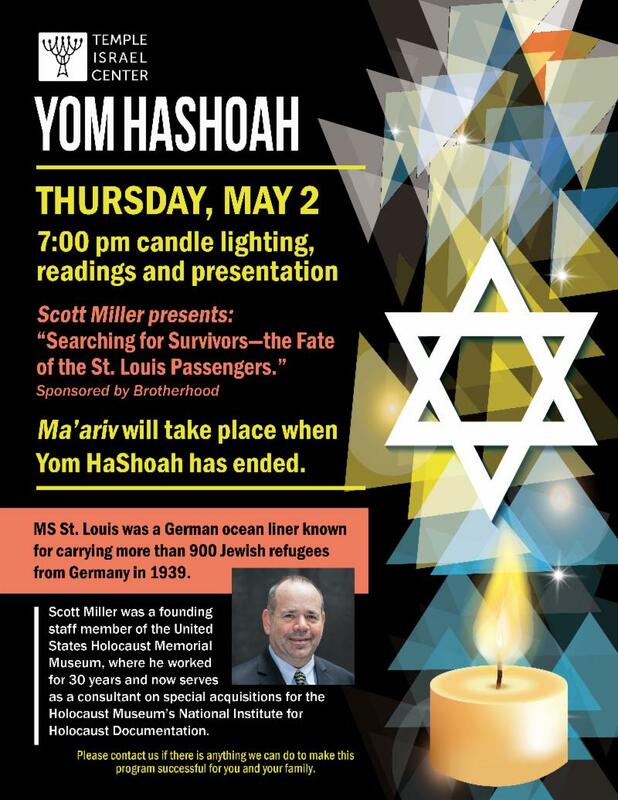 Candle lighting, readings and guest speaker Scott Miller presents: "Searching for Survivors — the Fate of the St. Louis Passengers." Click flyer for details. 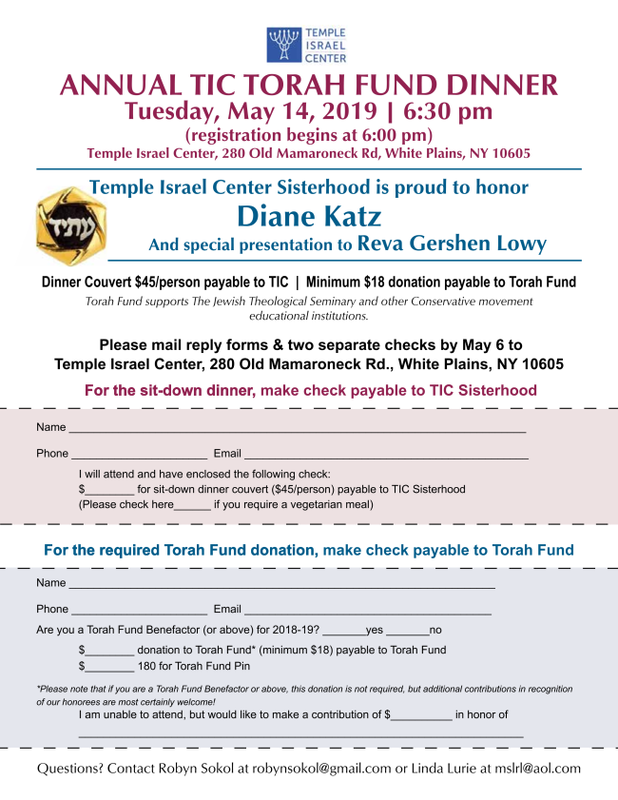 Temple Israel Center Sisterhood is proud to honor Diane Katz and to make a special presentation to Reva Gershen Lowy at the MetroNorth Region/Hudson Valley Area of Women’s League for Conservative Judaism Torah Fund Dinner at TIC. Paper registration only. Click here to download and print the registration form. Experience the multi-sensory exhibits featuring the singer, songwriter, poet and novelist Leonard Cohen. 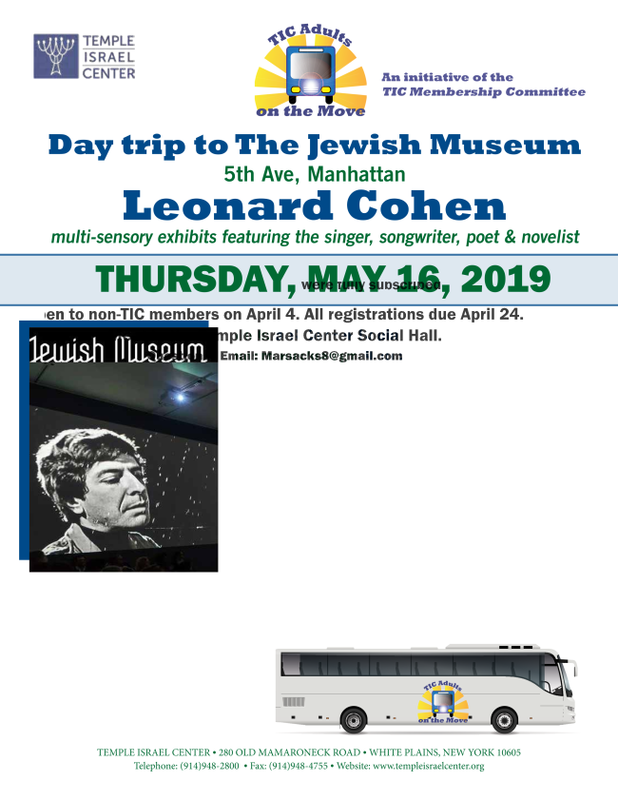 Join us for a day at the Jewish Museum that includes a coach bus ride, snacks, entry fee and docent-led tour. Click flyer for details. Register here . 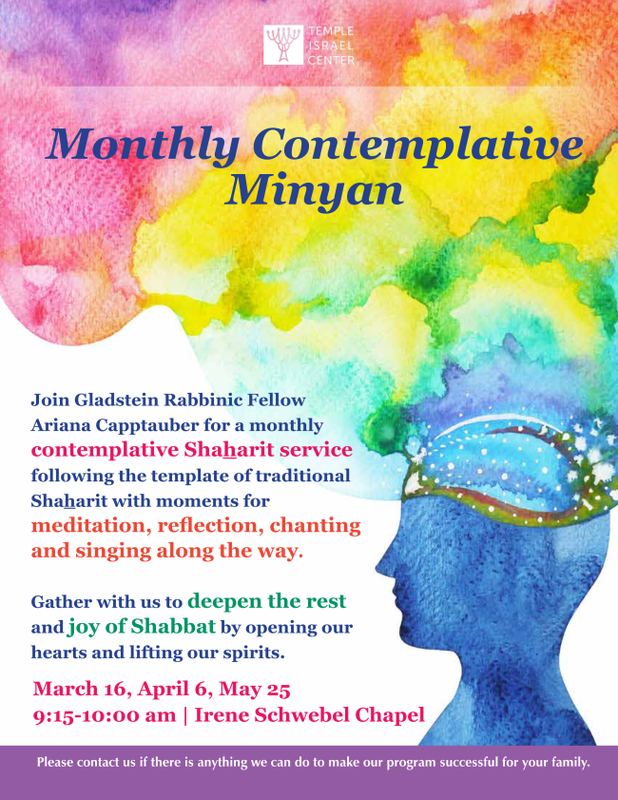 Join Gladstein Rabbinic Fellow Ariana Capptauber for a Sha h arit service that will deepen the rest and joy of Shabbat by opening our hearts and lifting our spirits. From 9:15-10:00 am. Click flyer for details. Join us for services as our teens lead the H avurah Minyan at 9:15 am. 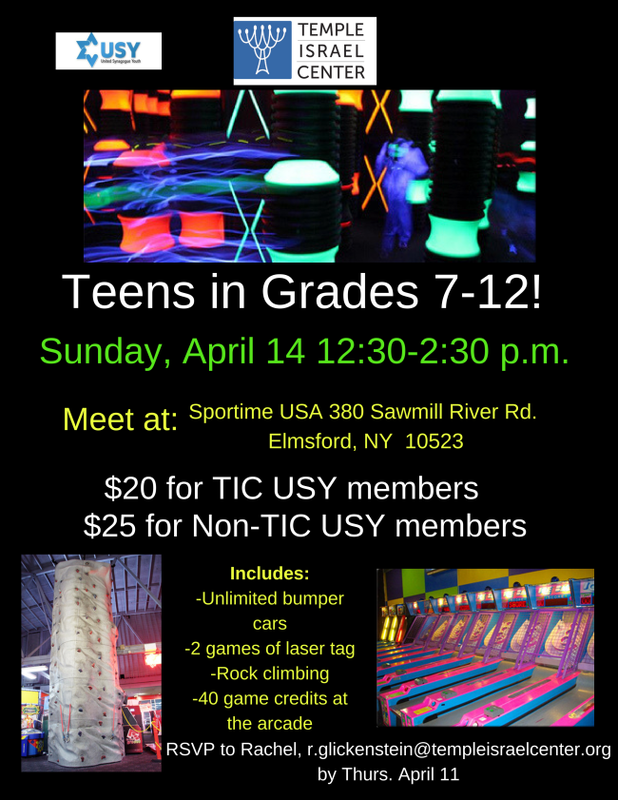 Now for Grades 7-12: Teen Laser Tag and More! Teens in grades 7-12 are invited to an action-packed afternoon filled with bumper cars, laser tag and rock climbing! Join us at Sportime USA in Elmsford. Grades 7-12. Click flyer for details. 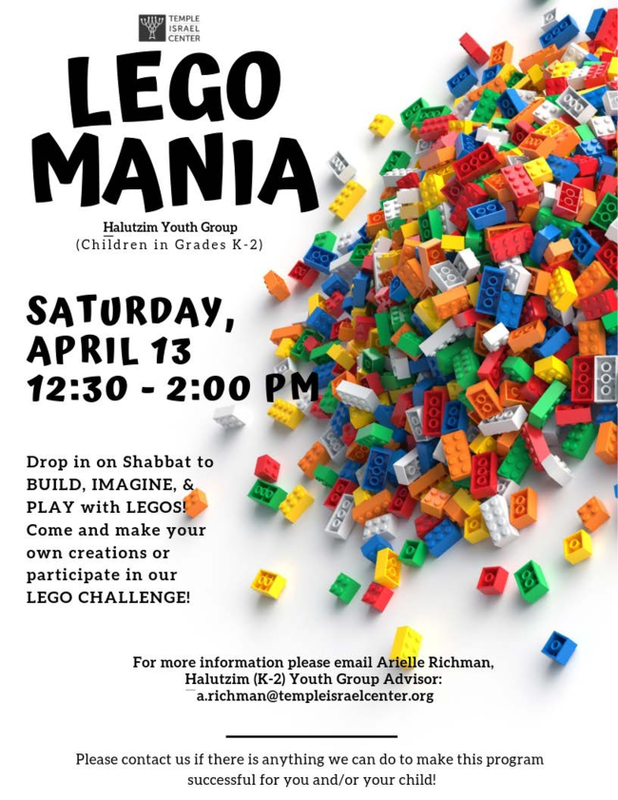 For children in grades K - 2, drop in on Shabbat to build, imagine, and play with LEGOs. Come and make your own creations or participate in TIC's LEGO challenge! Taking place in the TIC gym. Click flyer for details. Come and support our TIC children who will be performing at the Community-Wide Family Yom Ha'atzmaut celebration with the Westchester Jewish Council. Taking place at the JCC of Mid-Westchester in Scarsdale. For more information, email here . See Youth and Family Services schedule here . 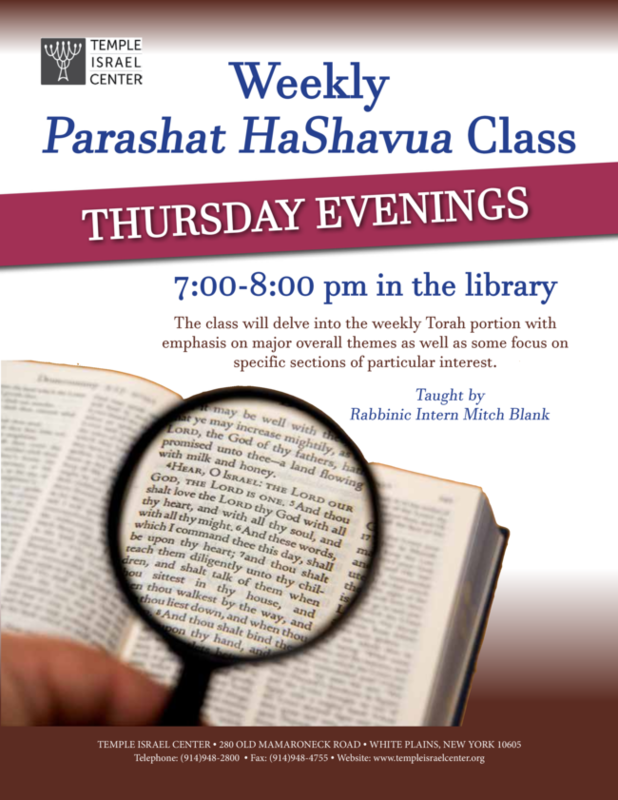 The class will delve into the weekly Torah portion with emphasis on major overall themes as well as some focus on specific sections of particular interest. Led by Rabbinic Intern Mitch Blank in the TIC library. 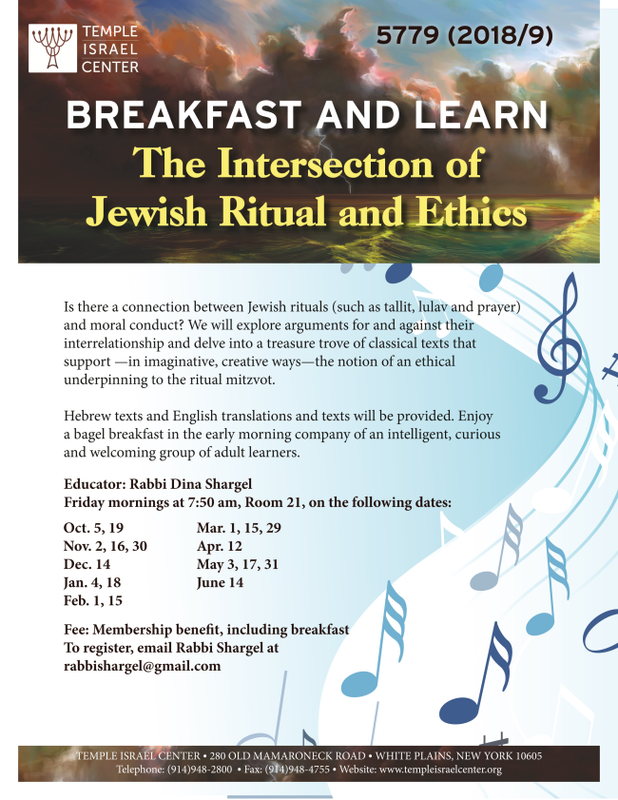 Taught by Rabbi Dina Shargel, delve into a treasure trove of texts exploring the ethical underpinning of the ritual mitzvot. Click flyer for details. Join a lively group of Hebrew-speaking adults and teens for an hour of music, reading, translation and discussion. Led by Rabbi Dina Shargel. Click flyer for details. 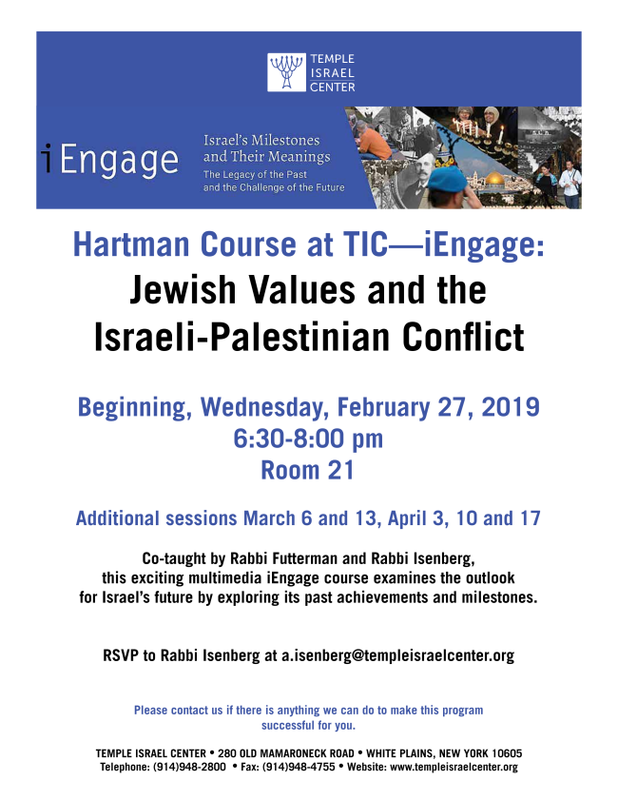 Co-taught by Rabbi Futterman and Rabbi Isenberg, this series of exciting multimedia courses examines the outlook for Israel’s future by exploring its past achievements and milestones. This is the last class of the series. RSVP here . 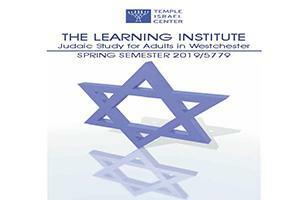 Please note: The Learning Institute will not be in session on Tuesday, April 16 and 23 for Passover break. Spring session resumes on April 30. Click here for session details. Learners in Grades K-5 are invited to join us in Rooms D and E to study the week's Torah portion. Congregants studying Talmud together. No prior background needed, all are welcome and invited. 8:00 am in the library. Dr. Jeffrey Hoffman, the first Jewish American man in space, has completed five space missions, He will share his space journeys and show photos from his space walks during a discussion at Temple Sholom in Greenwich, CT. The cost to attend is $18 per adult. Click here for details. Dr. Peter Hayes , Ph.D. specializes in the histories of Nazi Germany and the Holocaust and, in particular, in the conduct of the nation’s largest corporations during the Third Reich. He taught at Northwestern University for thirty-six years and will be speaking at Iona College in the Thomas J. Burke Lounge in Spellman Hall. The event is free. Email for additional information. The JCC of Mid-Westchester is having its Annual Benefit and will be honoring TIC members Hallie Greenberg and Allyson Wisel. Congratulations to the honorees! Read more here . 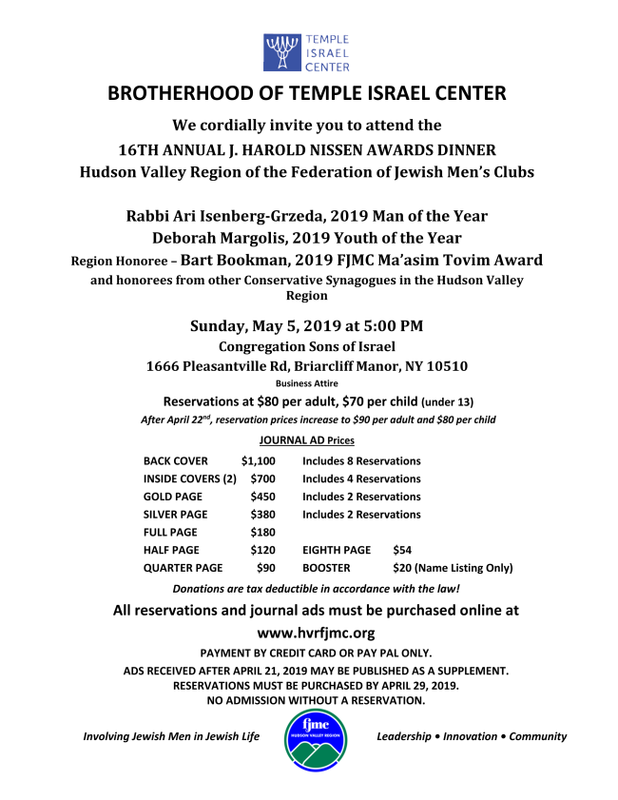 Brotherhood of Temple Israel Center invites you to attend the awards dinner honoring our own Rabbi Ari Isenberg - 2019 Man of the Year, and TIC member Deborah Margolis - 2019 Youth of the Year! At the Congregation Sons of Israel in Briarcliff Manor . Click flyer for details. 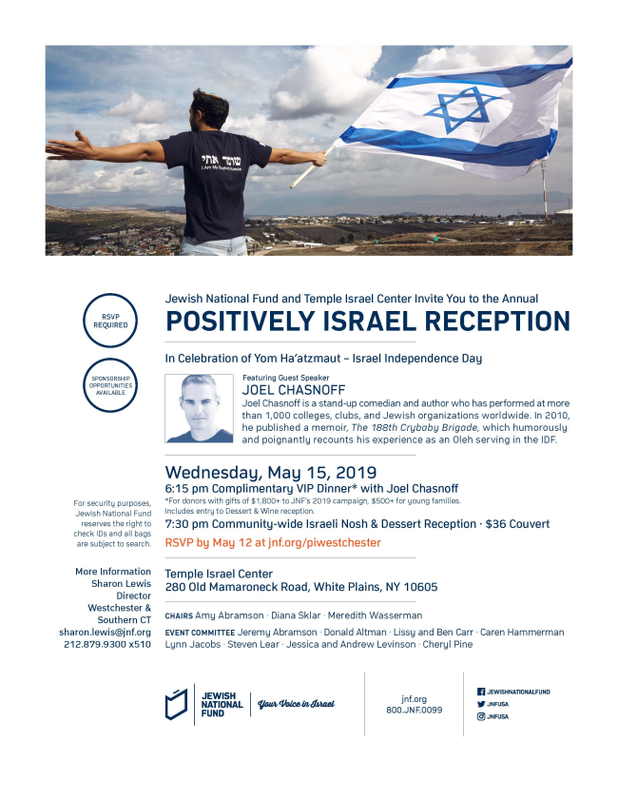 In celebration of Yom Ha'atzmaut - Israel Independence Day - the Jewish National Fund and Temple Israel center invite you to this special evening event. The featured guest speaker is Joel Chasnoff , a stand-up comedian and author. Taking place at TIC. Click flyer for details. RSVP here . Join TIC and UJA-Federation for this important discussion at Young Israel of New Rochelle. David G. Greenfield, CEO of Metropolitan Council on Jewish Poverty, will share how UJA and Met Council leverage diverse political priorities to secure resources for the most vulnerable - including more than a half-million New York Jews who live in/near poverty. TIC is an event partner. There is no charge to attend. Dessert reception and RSVP requested here . Mark your calendar for the next Sisterhood Book Club meeting! We will be reading the book, The Patriots , by Dana Krasikov. The meeting with take place offsite at 7:45 pm. Join the Sisterhood for a game or two of mah jongg on Thursday nights from 7:00-9:30 pm. Adult basketball is open to all TIC members, with RSVP required. Open Sundays: 9:30 am - 11:30 am; Wednesdays: 8 pm - 10 pm; and Thursdays: 8 pm - 10 pm. The TIC Inclusion Committee works on exploring and improving issues related to anyone who feels excluded in any way, including people with disabilities and learning differences, the LGBTQ community, or those experiencing mental health issues. Click here if you'd like to request our services. Click here for more information. Questions? Email us here . The Nursery School will be closed April 18-26. Nursery School Registration for the 2019-2010 school year is open. To register, click here . For tuition rates, click here . Please remember that enrollment is subject to availability and will be granted on a first-come, first-served basis. 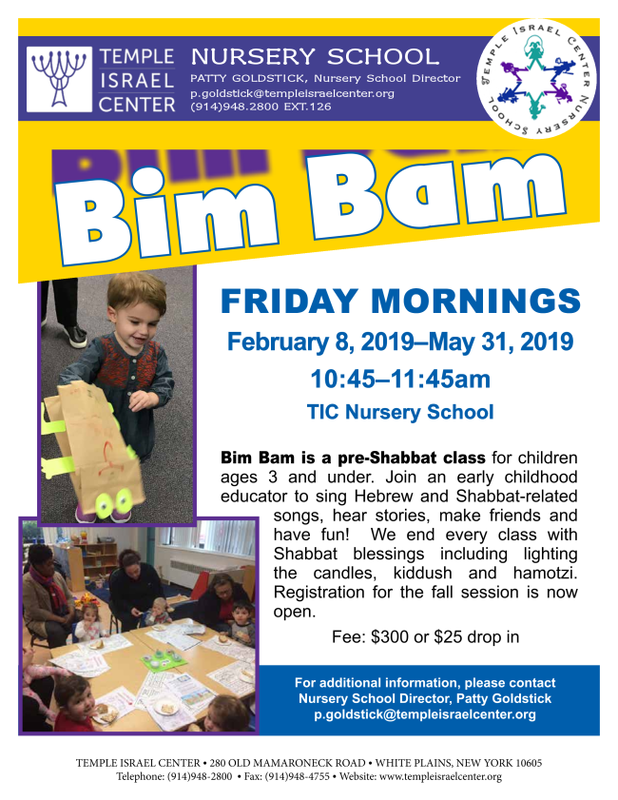 A pre-Shabbat class for children ages three and under. 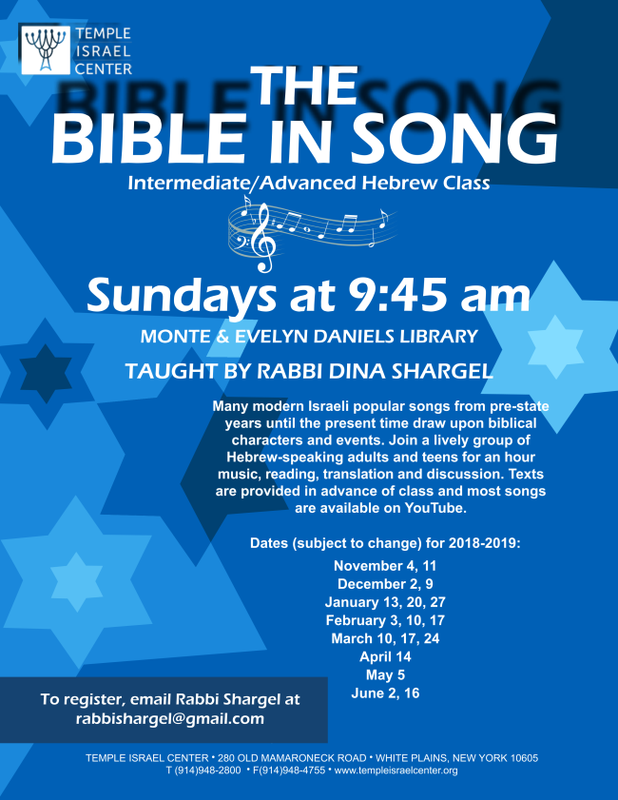 Join a Nursery School educator along with H azzan Shoshi Levin Goldberg for Hebrew and Shabbat-related songs, stories, friends and fun! Registration for the fall session is now open. Click flyer for details. Come play and make new friends! 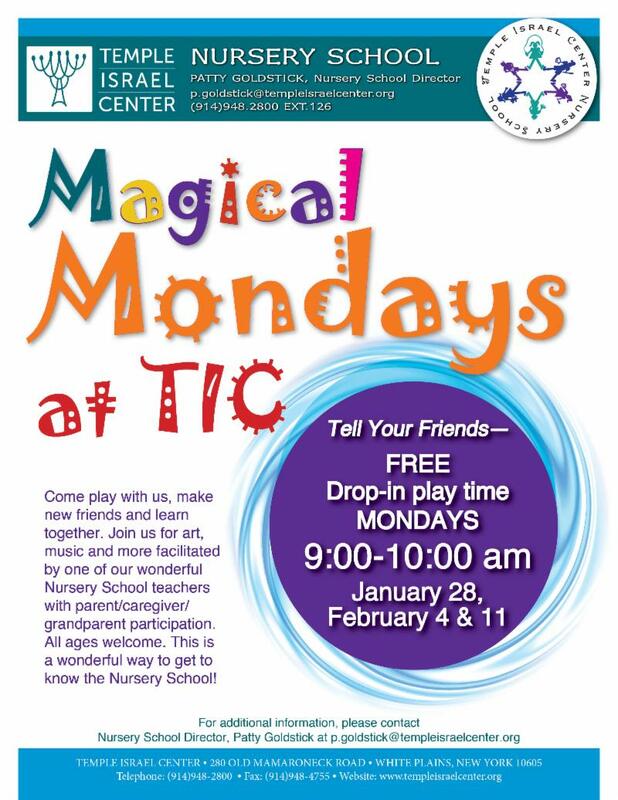 FREE drop-in play time from 9:00-10:00 am. Click flyer for details. Shorashim and H avurat Torah will be closed from April 18-28. Saturday, April 13, 2019 : Join us for the Teen-led H avurah Minyan at 9:15 am.